We currently have a couple of full time vacancies within our book keeping and accounts production teams. Making Tax Digital - or MTD as it's often called - is the UK's biggest tax shake-up in a generation. Where a tax return either for yourself or your business is to be filed, the UK government is moving HMRC to a fully digital based tax system requiring ALL tax returns to be filed in a MTD-compliant way. To achieve this, records must be kept on a digital system. We at Stephen Farra Associates can help you become compliant. For further information please contact our office or click on 'request a call back'.  We are a well established firm of Chartered Certified Accountants, specialising in tax advice and business consultancy based in Hornchurch, Essex. We provide a wide range of services to local business owners and individuals like you and have built up an excellent reputation for providing a high quality personalised service to all clients, whatever their size. Our staff are here to help with any of your accountancy and tax needs, just give us a call. All initial consultations are free of charge.